KB Bashkimi suffered a defeat in Kosovo league in the new coach Jeronimo Sarin′s debut. 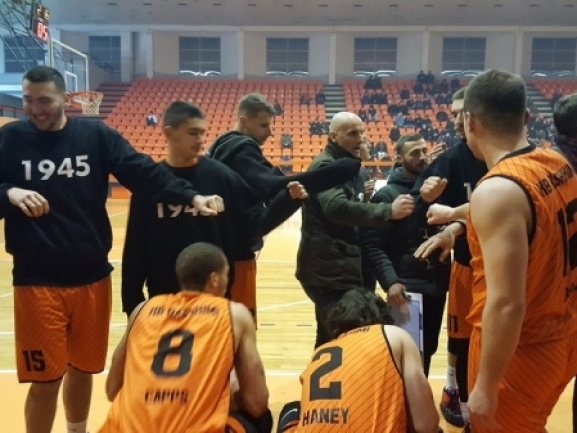 The team hosted Ponte in the derby of the city of Prizren and lost 75-83. The visitors team won the first three quarter which turned out to be decisive. They were up by 6 points after ten minutes, by 7 at the break and by 8 after the third quarter. In the last one both sides played good in offense and bad in defense but Bashkimi never really came close enough to challenge for a comeback. Lamar Wofford-Humphrey had his best game as Bashkimi played finished with 25 points and 11 rebounds for a double-double. Jordan Capps had 21 points as Drilon Hajrizi had 14 and 13 rebounds in his first game. After 17 games Bashkimi is tied for 4th place with the teams of Ponte and Trepca.